Born in Chattanooga, Tenn. on June 2, 1950 to the wonderful parents, Mr. & Mrs. John Henry (Lenora) Walker Sr. The youngest of five children, he was educated in the Chattanooga public school system and graduated from Howard High School. He attended Morris Brown College in Atlanta, Georgia and graduated with a BA Degree in Physiology. He gained employment with the Metropolitan Atlanta Rapid Transit Authority, MARTA, as a transit operator, and retired after 32 years of service. He met his wife Lady LaGail and after a short courtship; they were married. Later on in their marriage became the proud parents of Anthony Jarrod Walker, who developed into a gifted drummer. After meeting LaGail, who was instrumental in his salvation and introduction to the way of Holiness, he joined the Move of God Church under the late Pastor Edward Harris. Under the ministry of Pastors Edward and Francis Harris, he rededicated his life to Christ and later received the baptism of the Holy Ghost with the Scriptural evidence of speaking with other tongues as the Spirit gives the utterance. In 1983, at the age of 33, he was called into the Gospel Ministry and served under the leadership of one of God’s finest pastors, The Rev. Edward Harris his spiritual father and mentor. Being licensed and ordained, he served in all areas of ministry receiving valuable training in Missionary work, outreach, street ministry, sick and shut-in visitation, Prison Ministry, and associate minister. As his mentor, Rev. 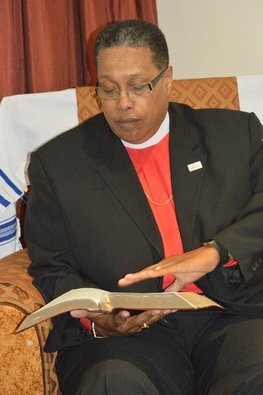 Edward Harris has gone on to be with the Lord; The Lord has so graciously joined Bishop Walker to a Father-Son relationship, with Bishop Arvell Garrett and Apostle Philip Imler as his spiritual fathers. The Lord has so graciously joined them in and blessed them to be a dear friend and counselor. On October 21, 2008 Pastor Walker received a Divine Mandate from the Lord, “To go forth and build Him a Church”. After much prayer, fasting and confirmations, Pastor and Lady LaGail were released from the Move of God Church with the laying on of hands and prayer, on January 4, 2009. 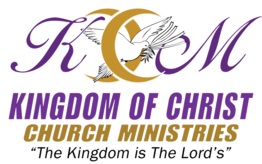 On February 3, 2009, Kingdom Of Christ Church Ministries Inc. was birthed into existence by the Lord and we began Tuesday Prayer and Bible Study in their home which was located in Austell, Georgia, as they were guided by the Holy Ghost. 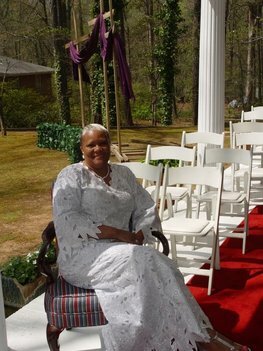 As the church continued to grow the church moved from their home to the Family Life Restoration Center, and from there to its current location in Atlanta GA. Ordained of God to the office of Bishop in February of 2013. In 2014, the church began to expand from one church to a Fellowship of Churches, the Pastors and Elders voted to make him Presiding Bishop and Chief Apostle. He was publicly ordained and consecrated to the Episcopacy on October 8th, 2015. LaGail Octavia Williams Walker was born to the wonderful parents of Grant & Earlene Williams on September 5, 1956, as the oldest of four children. A “Georgia Peach”, born and raised in the city of Atlanta, is a graduate of Fredrick Douglass High School, class of 74, followed by attending Morris Brown College. Introduced to the way of Holiness and saved at a young age under the ministry of Pastor Edward Harris of the Move of God Church, received the baptism of the Holy Ghost with the evidence of speaking with other tongues as the Spirit gives the utterance. Met and married Anthony “Tony” M. Walker in 1980, and was instrumental in his introduction to holiness and his salvation. After three years of marriage, God called Tony into the Gospel Ministry and we worshipped together at the Move of God Church for the next 26 years under Pastors Edward and Frances Harris. After a Divine Mandate from the Lord, we were “called out” of the Move of God Church to go forth and build the Lord a church. The awesome man, my friend and husband Tony became my Pastor, as we founded the Kingdom Of Christ Church Ministries Inc. After leaving the Move of God on January 4, 2009, being sent forth with prayer, we began Prayer & Bible Study in our home on February 4, 2009. The Lord has truly blessed the ministry and KCCM with His presence and His glory. We give God all of the glory for what He has done and continue to do. He has blessed us with many sons and daughters in the Lord, with our God-son Nyjah S. Jones becoming one of the first members of KCCM. Bishop and I have enjoyed 36 years of marriage from which we have one son, Anthony Jarrod Walker, who is a talented drummer. The many challenges of life and our Victory in Jesus have helped to prepare us for the ministry God has called us to. God is no respecter of person, what He has done for us He will do for others.